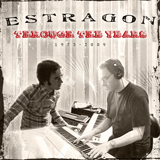 on the occasion of the production of our first album »Through The Years« we decided to revise and expand the website of »Estragon«, the Jazzrock band from Marburg, Germany. We looked through our photo archive and found several interesting band pictures. Even more, we wrote a band history, thereby trying to mention each and every musician who once joined the band. 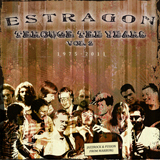 Please notice our second album »Through The Years Vol.2«, which is available now, too. We hope you enjoy this site and would appreciate a comment in our guestbook. Have fun!